It’s time to keep in shape until the warm weather comes. Join us for our monthly Urban Trail Runs at the brewery! We’ll lead a 4 to 6 mile journey through various city streets/paths & past different city landmarks. 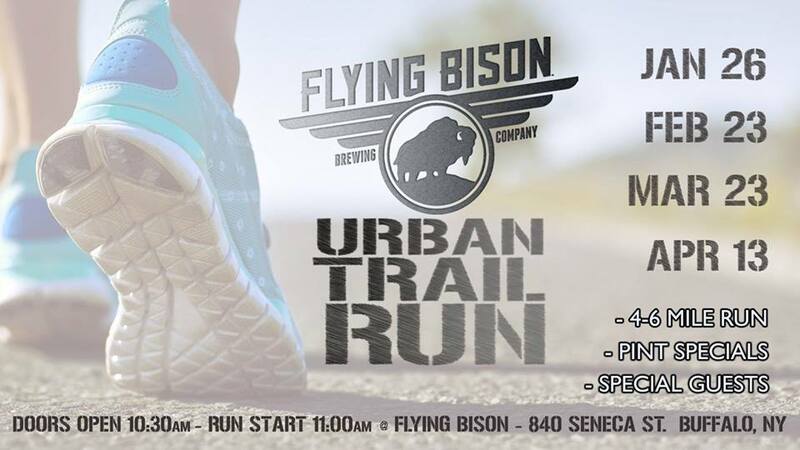 You’ll finish back at the brewery for hydration therapy (pint specials of of cold Flying Bison beer & Saranac Sodas).